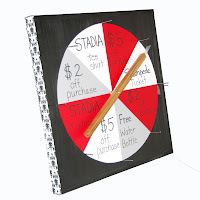 Make sure to stop by the STADIA booth to spin the prize wheel for a chance to win a STADIA t-shirt, Idaho Stampede tickets, water bottles, discounts at the STADIA booth and more! Every spin is a winner, so make sure to get in on the action! To see what some of this great STADIA gear looks like, check out their website at www.stadiaclothing.com.